The start of fall officially kicks off college application season — and that includes applying for college financial aid, too. Every year, the Department of Education doles out more than $120 billion in federal grants, loans and work-study awards to some 13 million college students. How do you know if your student is eligible to access these coveted funds? The only way to find out for sure is to fill out the Free Application for Federal Student Aid, or FAFSA. The form becomes available starting October 1 for the 2019 to 2020 school year. Here’s everything you need to know about the FAFSA, including how to get started, how financial need is calculated and what actually happens after you submit your application. WHAT IS THE FAFSA, AND WHY SHOULD I FILL IT OUT? 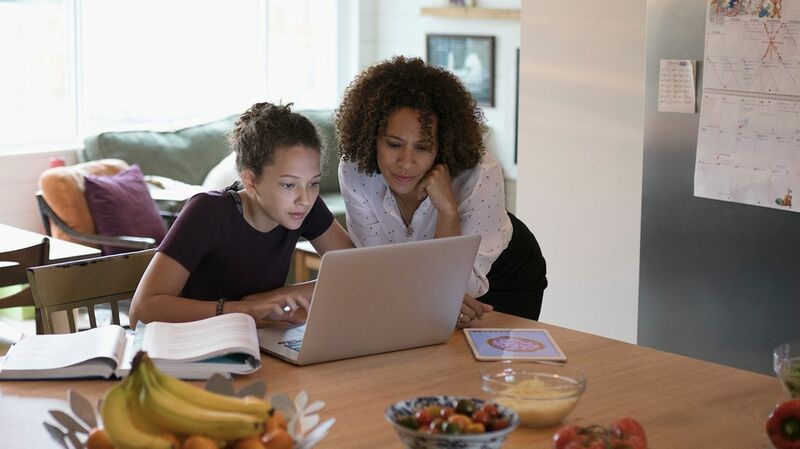 The FAFSA is the form college-bound teens and their parents use to apply for federal student aid programs offered by the U.S. Department of Education. 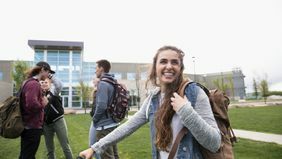 Federal student aid covers expenses including tuition and fees, room and board, books, supplies, transportation and other school-related costs. You won’t really know if your student qualifies for financial aid unless you try. Oftentimes, families with higher incomes think their child won’t qualify for need-based grants and decide not to bother with the form — this is a big mistake. It’s always best to fill out the application. After all, many states and colleges use the FAFSA to determine eligibility for grants and merit aid awards beyond the federal level. 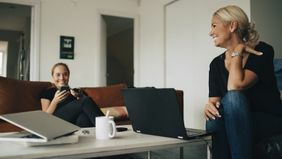 Filing the form is also necessary to take out federal student loans, which have benefits typically not associated with private loans, such as fixed interest rates or more flexible repayment plans. You won’t really know if your student qualifies for financial aid unless you try. You have nothing to lose and everything to gain. WHAT DO I NEED TO START THE FAFSA? The first thing you have to do is create a Federal Student Aid ID. The FSA ID is a username and password that allows you to access certain Department of Education websites, including your FAFSA application on fafsa.gov. It’s also required if you plan to sign your federal student aid documents electronically. Students and parents each will need to create their own FSA IDs. Do this early to avoid delays in the process. Note that for the latter you must report current values as of the date you sign the FAFSA, and not from your 2017 tax return. Both parents and students will also need to provide their Social Security numbers and driver’s license numbers (if applicable). Those who are eligible can use the IRS Data Retrieval Tool to import tax information directly into the FAFSA form. This reduces the chances of you entering the wrong information by mistake. Don’t worry if your current financial situation no longer reflects that of your 2017 tax return. You can always contact individual schools after you've been accepted to document changes in income. Speaking of schools, you’ll need to list the ones you’re considering on the FAFSA. Some states require you to list them in a particular order to be considered for state aid. HOW DO I CREATE AND SUBMIT THE FAFSA? Now that everything’s in order, it’s time to actually fill out the FAFSA. The easiest ways to do so are online at fafsa.gov or by downloading the brand-new myStudentAid mobile app. Users will be able to switch seamlessly between the web form and the app, available for both Android and iPhones. If you prefer, you can download and print out a PDF FAFSA form to complete and mail in. While the deadline to file the FAFSA for the 2019 to 2020 school year is not until June 30, 2020, it’s very important to pay close attention to state and school deadlines for financial aid. Those tend to be earlier, and in general, filing as soon as possible after October 1 increases your odds of securing aid because federal aid is often first-come, first-served. Be sure to renew your FAFSA application every year your child attends college. HOW DOES THE FAFSA HELP CALCULATE MY FINANCIAL AID? The financial aid office at your child’s college will use the FAFSA to determine how much financial aid he or she is eligible to receive. The office calculates financial need by subtracting your expected family contribution (EFC) from the total cost of attendance (COA). So, for instance, if your total COA is $20,000 and your EFC is $15,000, your financial need is $5,000. The COA is the estimated amount it will cost to attend the college for the entire school year. It includes tuition and fees, room and board, the cost of books and supplies, as well as other related expenses. Need-based federal student aid programs include the Federal Pell Grant, Federal Supplemental Educational Opportunity Grant, Direct Subsidized Loan, Federal Perkins Loan and Federal Work-Study. To determine non-need-based aid, the school will subtract the amount of financial aid your child has been awarded so far (including private scholarships) from the COA. Examples of non-need-based federal student aid programs include the Direct Unsubsidized Loan, Federal PLUS Loan and the TEACH Grant. If you submitted your FAFSA form electronically and provided an email address, you’ll receive a link to your Student Aid Report (SAR) within three to five days. If you do not provide an email address, then a paper copy will be mailed to you within about three weeks. The SAR summarizes the information you provided on the FAFSA. Review the report with a fine-tooth comb to ensure everything is accurate and complete, and make corrections if needed. After you’ve been accepted to a college, the financial aid office will send you an electronic or paper award letter that states how much aid you’re eligible to receive at the school. Didn’t get to the number you want, or have competing offers from similar schools? You may be able to negotiate for a financial aid package that works better for your family’s finances — and your student’s future.